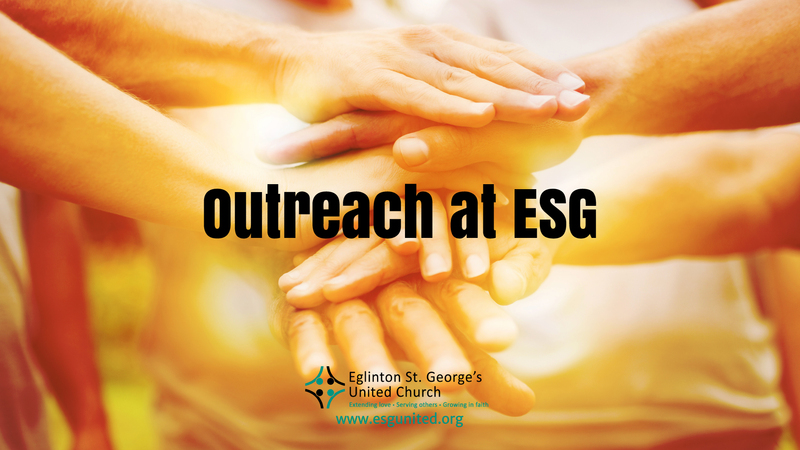 An important aspect of our mission at ESG is to serve others generously. Read about our current initiatives, and find out how you can get involved. The Out of the Cold program is a volunteer initiative that consists of congregations from faith groups, community members and advocates who provide safe refuge, hospitality and emergency shelter to the homeless community throughout the City of Toronto. Our local OOTC program is held at Blythwood Road Baptist Church, 80 Blythwood Road. Each Saturday night from November through March up to 140 guests are provided with a home-cooked meal and up to 60 homeless persons are given a safe and warm place to sleep. Those who stay for the night are also given a hot breakfast and a packed lunch on Sunday morning. This is the only program available on a Saturday in the City of Toronto that provides sleeping accommodation. Interested in helping? Find out more…. The Good Food Box is a program of Foodshare, an organization that delivers healthy food to communites and schools. ESG volunteers meet once a month, usually on the third Thursday, to organize and bag fresh produce from local farmers. The goal of the program is to support local growers, encourage good food choices, and provide outreach to the community. Every month, we receive boxes of food for those in need in our community, be they individual families or organizations such as the Lawrence Heights Food Bank or Glendon College International Students. Every Thursday afternoon our doors are open from 1:30-3:30 to assist those who have trouble making ends meet. Some are on disability, some live in rooming houses or shelters, and some on the street. Here they find a listening ear as well as a food gift card ($20), TTC tokens, and grocery items from our pantry. We are always in need of food donations for our guests. Please bring your non-perishables to the food collection bin marked, ‘Thursday Outreach’ beside the Welcome Desk in the foyer of the church. Read about the most needed items for our Food Drive. Each year we host a Fair Trade Fair, prior to the Christmas season, in support of workers around the world who are trying to create better lives for themselves and their families. This is a wonderful opportunity to shop for unique gifts made by artisans from Cambodia, Nepal, Palestine, Rwanda, Northern Thailand, Haiti and more who are working to better their own lives and those of their families. Support fair trade by including some of these exotic, practical, and fun items in your holiday giving. Our next Fair Trade Fair will take place on Sunday, November 25, 2018. ESG serves Fair Trade coffee and tea each Sunday after church. In 2010, ESG formed a Compassionate Justice group to learn about the changes in direction and legislation to Canada’s Criminal Code being proposed by the federal government. Since then we have run a Speakers Series, A Justice System for a Just Society. Speakers have offered reflections on the consequences these changes have on Canada’s social values, and a consideration of ways to re-establish an effective and humane justice system in the future. Each year ESG hosts two Rummage Sales – one in the Fall, and one in the Spring. The rummage sale facilitates good stewardship by providing an opportunity for people to donate items they no longer need and offers needed household items to members of the community at low prices while supporting many Community Outreach Partners who collect items that support their various programs. Learn more about the amazing network of outreach you are contributing to when you donate goods to our sale. Save the date for our next sale: Saturday, April 27, 2019. As a congregation we realize that we have neighbouring communities that have high needs. Lawrence Heights, a priority neighbourhood in Toronto, became the focus of our Outreach efforts in 2012 and, as we work in partnership with Baycrest Public School, we offer various opportunities throughout the year to volunteer. In June of 2016, ESG introduced an Annual Literacy Award at Baycrest Public School. At the end of the school year, teachers in each classroom, along with the Librarian, work together to gather a list of children who worked very hard on their reading and showed significant progress. This past June there were 7 recipients of a brand new book award for each student to take home. We are very happy to have committed to this program until June 2019. With sincere thanks to the Harrison Rowland Trust Fund for making this possible. In the United Church of Canada, we decide together what mission and ministry to support. We also pool our financial resources to support this work. This pool of money is called the Mission and Service Fund. It is made up of voluntary gifts and together we use it to fund our worship, our church organization, our ministry, and God’s mission. Throughout the year, ESG has special services and/or events where we promote the work of the M&S Fund and have opportunities to give financially. 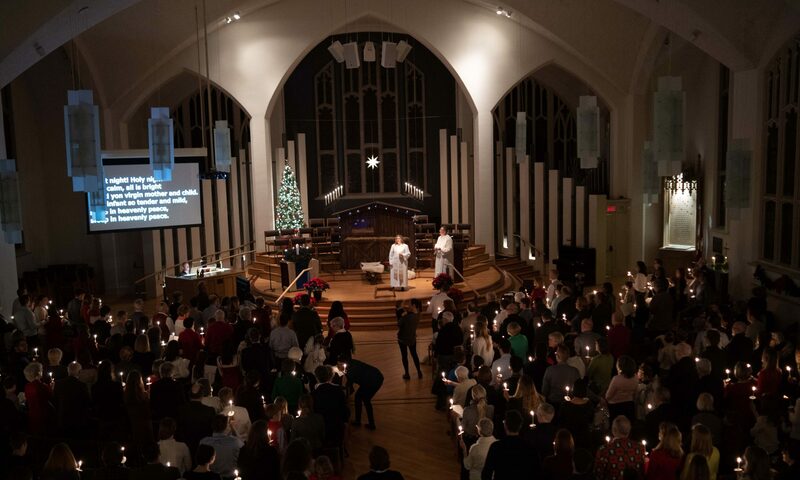 You can give to the M&S Fund anytime, directly through our church, or at our worship service. We believe that as Christians we are called to work for a more just, peaceful and equitable world. The Outreach Committee is trying to put a solid ground under what it means to “create a culture of giving back”, one of the pillars of our Mission and Vision. We have developed a Policy of Advocacy for Social Justice that enables us to be both pro-active and responsible to the injustices and inequities that surround us. We try to address injustices at the source – whether that be in our own church community, in the wider business/industrial arena or in government policies that do not support vulnerable Canadians. Actions can be initiated by individuals or groups within the congregation. The ESG Peace with Justice, Compassionate Justice and Amnesty International groups are alert to situations where a wider voice is needed. We are also part of Voices for a Just Society, an ecumenical group in our area that offers opportunities to learn about issues, share concerns and speak out for just solutions to difficult issues.